September 28th - October 27th Handmade will be open. 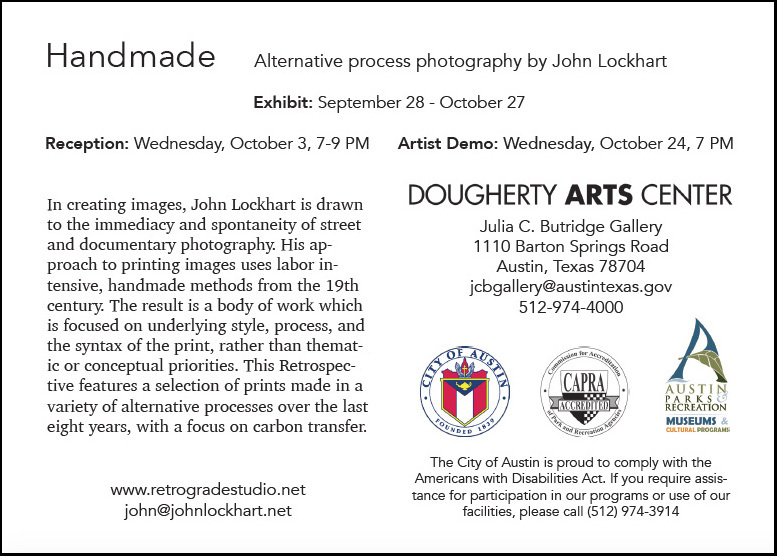 This is a solo retrospective of my handcrafted photographic work at the Dougherty Arts Center here in Austin. 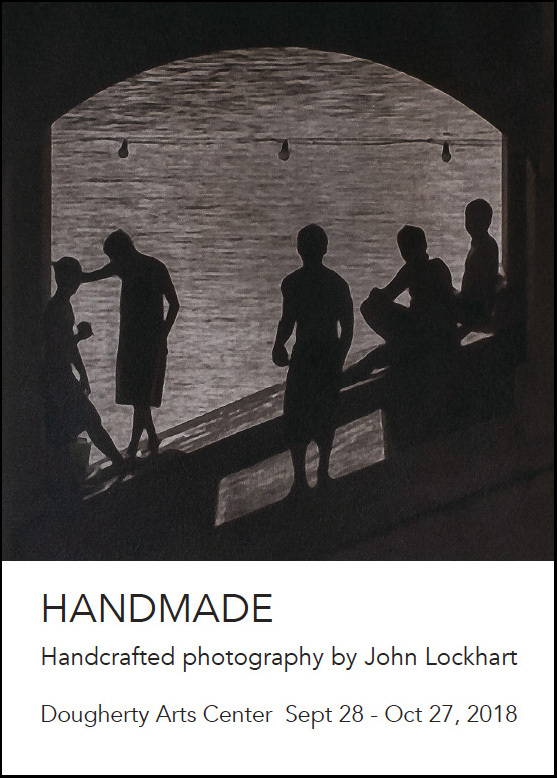 Stop by to see about 25 of my prints, mostly carbon transfer prints, I've produced over the last eight years based on images I've shot since 1998. Prints will be for sale at the reception and for the duration of the show. As an added incentive to pick up a print, I'll donate 20% of every sale to one of three non-profits. When you buy, just specify which one of the following organiuzations you want your donation sent to. There is a reception on October 3rd at 7 PM in the main gallery. Stop by, say hello, see some prints, meet some folks, grab a beer. On October 24th, I''l be doing an artist talk and demo at the gallery. I'm sure to talk about the historic and contemporary practice of the craft and show some of the techniques. Depending on the space and the time I have, I may develop a print during the talk, as recently did at Holland Photo. More details to come.